John Albert Wilson (1877–1954) was a Canadian sculptor who produced public art for commissions throughout North America. 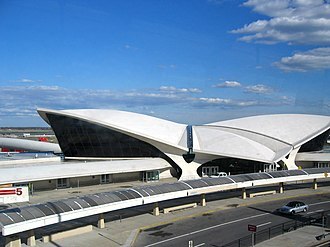 He was a professor in the School of Architecture at Harvard University for 32 years. He is most famous for his American Civil War Monuments: the statue on the Confederate Student Memorial (Silent Sam) on the campus of the University of North Carolina, Chapel Hill, and the Washington Grays Monument (Pennsylvania Volunteer) in Philadelphia. Renowned sculptor and art historian Lorado Taft wrote of the latter work, "No American sculpture, however, has surpassed the compelling power which John A. Wilson put into his steady, motionless 'Pennsylvania Volunteer'." Wilson created his studio (the "Waban Studio") at Chestnut Hill, Massachusetts. Walter Gropius , known as a pioneering master of modern architecture, said the studio "is the most beautiful in the world." He was born in New Glasgow, Nova Scotia (Potter's Brook), son of John and Annie (Cameron) Wilson. His grandfather was a stonemason who emigrated from Beauly, Scotland. Wilson attended New Glasgow High School. At the age of fifteen he created a sculpture of a lion out of freestone (1891). In 1896, at age nineteen, he went to Boston to study art. During the day he attended the Cowles Art School of the Museum of Fine Arts, Boston, where he studied drawing and painting under Bela Pratt. He worked in the evenings as an usher in a theatre, and he worked on the weekends as a professional boxer at the Boston Athletic Club. While at the Fine Arts school, Wilson displayed his work The Crawling Panther (also known as the Stalking Panther) at the Boston Art Club (1905). He received attention from the Boston Globe and Boston Herald newspapers for this work. 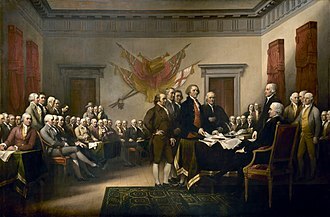 The latter wrote that it was a "powerful work by a very young man". He graduated from the School of the Museum of Fine Arts, Boston in 1905. He next worked as an assistant to Henry Kitson. Beginning in 1906, Wilson taught classes for the Copley Society of Art in Boston. He joined the board of directors in 1913 and taught there for 32 years until 1945. In 1927, he was named Director of Classes. One of his students at the Society was John Hovannes (1900-1973). In 1917, Wilson started to teach at Harvard University when the scholarly Abbott Lawrence Lowell was president. He was appointed Instructor in Modelling, School of Architecture, Harvard University. He served at Harvard for 32 years, retiring in 1949. 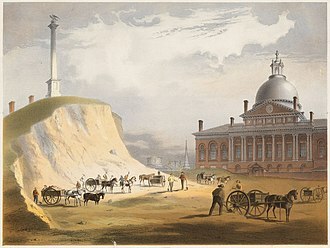 During his tenure at the Copley Society and Harvard, Wilson also taught in various other places. 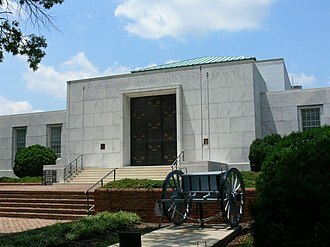 Wilson taught for 5 years at the Worcester Art Museum (1917–22), where he would complete the Hector Monument (1923) with his student Evangeline Eells Wheeler. He taught one year at the School of the Museum of Fine Arts, Boston (1921–22), three years at Children's Walker School, and three years at Bradford College. He also taught at his own studio in Chestnut Hill. In 1913, he had built his home and his "Waban Studio" at 101 Waban Hill Rd, Chestnut Hill, where he lived for 36 years. After 50 years, when he retired, Wilson returned in 1949 to New Glasgow, Nova Scotia. He lived there for five years at East River, Potter's Bridges, New Glasgow. Wilson died on December 8, 1954 at Aberdeen Regional Hospital, New Glasgow. Before his passing, he donated property to the Aberdeen Hospital. It was later replaced by Glen Haven Manor now stands. A plaque in his honor hangs in the Hospital's cafeteria. He is buried in the Riverside Cemetery, New Glasgow, Nova Scotia. The year after Wilson graduated from School of the Museum of Fine Arts, Boston (1905), he received his first major recognition when he was commissioned by the State of Pennsylvania to make the Washington Grays Monument in Philadelphia to the men who served in the American Civil War. In 1909, Wilson's soldier's monument for all soldiers of war was unveiled on Dudley's Town Common (in front of the First Congregational Church), Dudley, Massachusetts. A crowd of 1200 was in attendance. Four-sided and capped with the sculpture of an American eagle, the multiwar memorial has inscriptions for the American Revolution: "To the memory of Dudley's Heroes who bore arms to found an Independent Nation - 1776"; the American Civil War: "Her Patriots of 1861-1865 who offered their lives to Preserve this Union"; and the Spanish–American War/Philippine–American War: "her soldiers in the Spanish-Philippines War, 1878." In 1909, Wilson created the "Massachusetts Monument" in the Baton Rouge National Cemetery. The commemorative monument on its grounds, was erected to honor Massachusetts sailors and soldiers who died in Civil War battles in the Gulf region. The granite monument is inscribed with the names of the Infantries and Light Batteries that served in the Gulf theater of operations. 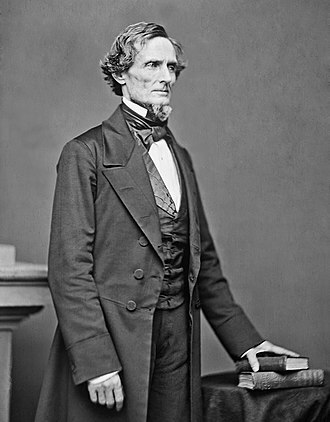 Massachusetts Governor Ebenezer Sumner Draper attended the proceedings. In 1911, he created a statue of Private Daniel A. Bean of Brownfield, Maine, 11th Maine Volunteer Infantry Regiment. Major Sylvanus Bangs Bean served with the 11th Maine Regiment along with his son, Daniel A. Bean. Daniel was killed in Hampton, Virginia as a result of being shot in both thighs during the war. Daniel died before his father Sylvanus could see him at the field hospital. Daniel died on 06/06/1864 and is buried at Plot: D 2820, Hampton National Cemetery, City of Hampton, Virginia, USA. The statue of Daniel Bean stands in Brownfield, Maine, where the roads to Hiram and Denmark diverge. Of all the Civil War memorials erected by Maine towns, this remarkable monument was the only one cast in the image of a real person. The absence of weapons distinguishes it even further. The boy stands as he would have on his last day at home, taking the Oath of Induction. In 1913, Wilson was commissioned by the North Carolina Chapter of the United Daughters of the Confederacy to make the Confederate Monument (Silent Sam) for the students of University of North Carolina at Chapel Hill who served in the war. It was the first major work Wilson created in his new "Waban Studio". At least 40 per cent of the students entered the service, which is a record not equaled by any other institution. 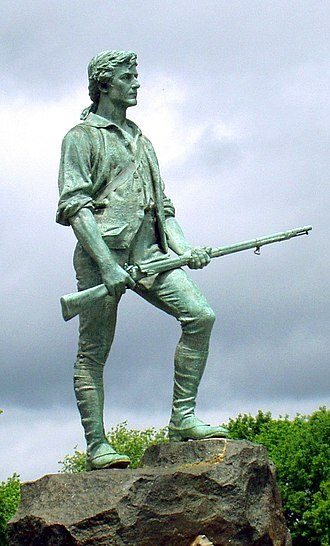 Similar to the unarmed statue of Bean, Wilson created a "silent" statue by not including a cartridge box on the Confederate soldier belt so he cannot fire his gun. On August 20th, 2018 a group of protesters surrounded the statue and tore it down, one person was arrested, the University made a comment understanding the sentiment but not condoning the actions and vandalism. In 1909, Wilson created Firemen's Memorial (Boston) for the Firemen's Lot at Forest Hills Cemetery, Jamaica Plain, Boston. Each year on the second Sunday in June, memorial services sponsored by the Charitable Association of the Boston Fire Department are held at the Firemen's Memorial at Forest Hills Cemetery in order to pay tribute to deceased members so they would be assured of a decent and final resting place and they would not necessarily end up in Pauper's Field. On a lofty granite base a larger-than-life fireman in bronze, attired for service but in a moment of contemplation. On each side of the pedestal were set bronze plaques, 3 ft. by 4 ft., depicting the life of a fireman in the spirit of a renowned set of Currier & Ives prints. 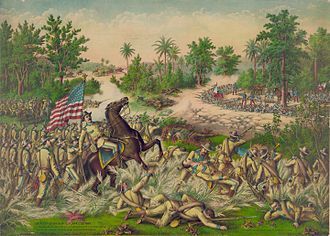 Shown in vivid bas-relief were horse-powered equipment and men en route to their duty. The plaque on the rear of the statue pictures a nineteenth century pumper as it would have looked between fires in the firehouse with no horses, men, or background. 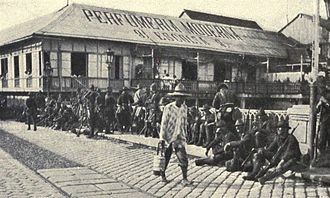 The memorial was dedicated in grand style on June 14, 1909. On that day, set aside in all the state for past firemen, the memorial was dedicated in a ceremony partially presided over by John F. Fitzgerald, grandfather of John F. Kennedy and former mayor of Boston. While teaching at Harvard University (1917–46), Wilson made numerous sculptures of figures connected to the University. Perhaps the best known figure is the Janitor in the Fogg Museum entitled "George". Articles with a photo of George Archambeau were printed in both Time Magazine and the New York Times when the bust was unveiled in September 1932. Wilson also made two busts of William Crowninshield Endicott, one in the Fogg Museum and the other in Harvard University Law School (1932). Wilson also made two busts of Harvard president Abbott Lawrence Lowell. One is a marble bust in the Faculty Room, University Hall (Harvard University) (1930) and the other is a bronze bust at Lowell House Residence, Harvard University Wilson also made the mould for the commorative punch bowl and dishes for Harvard University's tercentennial (1936). How very lucky I was to find myself in your class in the basement of Robison Hall. If it had not been for that, classes at the Copley Society of Art and Sundays in your studio, I fear my life long dream of being a sculptor would not have materialized. Where anybody today could get the sound training you gave us, I have no idea. The Nova Scotia monuments were made in the same year (1923). The Hector Pioneer was made in the Worcester Art Museum. Wilson's assistant for the work was Evangeline (Ells) Wheeler. The sculpture was unveiled 17 July 1923 on the 150 Anniversary of the arrival of the ship Hector. The Governor General of Canada Field Marshal Julian Byng, 1st Viscount Byng of Vimy led the proceedings. 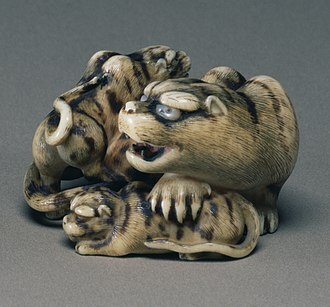 Wilson made a series of nine lions in freestone early in his career. 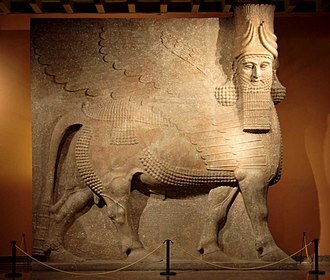 The location of six of these lions is unknown. Three of these lions remain in Pictou County, Nova Scotia. One of the lions is on the grounds of the Lionstone Inn, an establishment named after the sculpture. The other two lions are at the Carmichael-Stewart House Museum. One of these Wilson made at the age of 15 before he moved to Boston (1891). The other lion at the museum Wilson made while studying in Boston (1902). The sculpture representing Great Britain in South Africa during the Boer War and was noted as being "an admirable piece of modelling from one of his age". In March 1902 the Royal Canadian Academy of Arts accepted this lion for its annual exhibition in Montreal. Clyde MacDonald. More Notable Pictonians. 2004. pp. 48–85. G.E.G. MacLaren. "Nova Scotia's First Sculpture[: John A. Wilson]". Nova Scotia Historical Quarterly, Vol. #3:2 (1973): 4 pp. ^ Eric Barker, "John Wilson: Famous Nova Scotian from N.G. ", The Evening News, New Glasgow, N.S., May 3, 1972. ^ Nova Scotia Archives and Records Management. John Wilson Scrapbook. Exhibition dates: January 6 - February 4, 1905. ^ Boston Evening Transcript, December 7, 1912. ^ John Hovannes profile, papillongallery.com; accessed February 10, 2015. ^ John Wilson: Famous Nova Scotian from N.G. by Eric Barker. The Evening News, New Glasgow, N.S., May 3, 1972. ^ Profile, findagrave.com; accessed February 10, 2015. ^ George MacLaren. 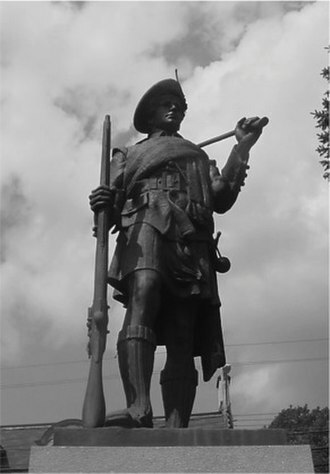 "Nova Scotia's First Sculpture: John A. Wilson", Nova Scotia Historical Quarterly, Vol. #3:2 (1973), p. 118. ^ .Silent Sam (Civil War Monument), The University of North Carolina at Chapel Hill Virtual Tour; retrieved March 1, 2008. ^ Profile, jphs.org; accessed February 10, 2015. ^ Royal Canadian Academy Annual Exhibition: (Montreal, March 1902) "Annual Exhibition of the Royal Canadian Academy"[permanent dead link], Montreal Daily Herald, March 22, 1902, page 2. ^ Profile, biographi.ca; accessed February 10, 2015. 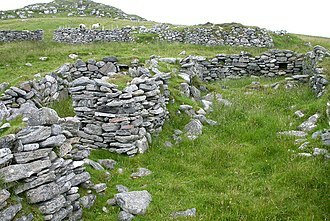 Wikimedia Commons has media related to John A. Wilson (sculptor). Born in Berlin, Walter Gropius was the third child of Walter Adolph Gropius and Manon Auguste Pauline Scharnweber. In 1915 Gropius married Alma Mahler, widow of Gustav Mahler and Almas daughter, named Manon after Walters mother, was born in 1916. When Manon died of polio at age 18, in 1935, Gropius and Alma divorced in 1920. On 16 October 1923, Gropius married Ilse Frank, and they remained together until his death in 1969 and they adopted a daughter together, Beate Gropius, known as Ati. Ise Gropius died on 9 June 1983 in Lexington, Walter Gropius was drafted August 1914 and served as a sergeant and as a lieutenant in the signal corps in the First World War. He survived being buried under rubble and dead bodies, and shot out of the sky with a dead pilot. He was awarded the Iron Cross twice, Gropius then, like his father and his great-uncle Martin Gropius before him, became an architect. Gropius could not draw, and was dependent on collaborators and partner-interpreters throughout his career, in school he hired an assistant to complete his homework for him. His fellow employees at this time included Ludwig Mies van der Rohe, Le Corbusier, in 1910 Gropius left the firm of Behrens and together with fellow employee Adolf Meyer established a practice in Berlin. Together they share credit for one of the seminal modernist buildings created during this period, the Faguswerk in Alfeld-an-der-Leine, the factory is now regarded as one of the crucial founding monuments of European modernism. Gropius was commissioned in 1913 to design a car for the Prussian Railroad Locomotive Works in Königsberg and this locomotive was unique and the first of its kind in Germany and perhaps in Europe. Other works of early period include the office and factory building for the Werkbund Exhibition in Cologne. In 1913, Gropius published an article about The Development of Industrial Buildings, Gropiuss career was interrupted by the outbreak of World War I in 1914. Called up immediately as a reservist, Gropius served as a sergeant major at the Western front during the war years and was wounded, Gropius was awarded an Iron Cross while fighting for four years for Germany on the Western Front. New Glasgow is a town in Pictou County, in the province of Nova Scotia, Canada. It is situated on the banks of the East River of Pictou, which flows into Pictou Harbour, the towns population was 9,075 in the 2016 census. New Glasgow is at the centre of the fourth largest urban area. The New Glasgow census agglomeration includes the adjacent towns of Stellarton, Westville. Sir Robert Kenney founded New Glasgow, Scottish immigrants, including those on the ship Hector in 1773, settled the area of the East River of Pictou during the late 18th and early 19th centuries. Deacon Thomas Fraser first settled the area at the head of navigation on the East River of Pictou in 1784, the settlement was officially named New Glasgow, after Glasgow in Scotland, in 1809, the same year its first trading post was developed. 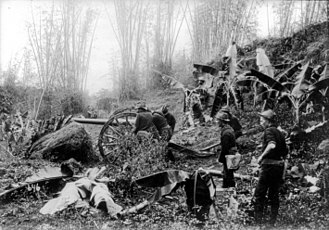 The discovery of coal deposits in the East River valley during the early 19th century saw New Glasgow, at the head of navigation, quickly develop into a manufacturing. In 1829, a tramway was built using standard gauge rails from the settlement of Albion Mines to a wharf near New Glasgow. This was the first use of standard gauge rails in what would become Canada. On September 19,1839, the Albion Railway was opened from Albion Mines to New Glasgow and this was the second steam-powered railway in what would become Canada and the first to use iron rails. The railway was extended north to a loading pier at Dunbars Point on May 14,1840. In 1840, George MacKenzie started the towns first shipbuilding company, in June 1867, the Nova Scotia Railway opened its Eastern Line from Truro through New Glasgow to its terminus at the passenger and cargo wharf in Pictou Landing. Economic development in New Glasgow was driven by the industry in neighbouring Trenton and shipping in Pictou and Pictou Landing. After World War I, the famous New York sculptor J. Massey Rhind was commissioned to make the Nova Scotia Highlander soldier cenotaph, in 1946, New Glasgow was the setting for an important civil rights case when Viola Desmond challenged racial segregation of New Glasgows Roseland Theatre. New Glasgow became a centre for the county during the late 20th century as shopping centres, retail. Washington Grays Monument is a bronze statue by John A. Wilson. The monument represents the Washington Grays who served in the 17th, 21st, joseph Wilson built the base of the monument which was unveiled on April 19,1872. 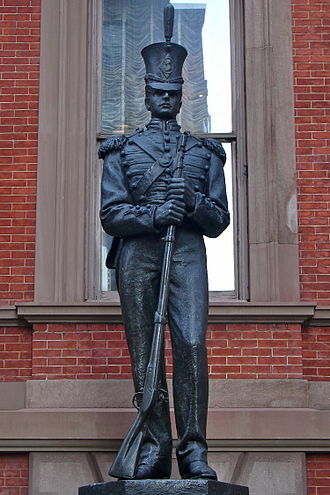 The sculpture is positioned adjacent to the sculpture 1st Regiment Infantry National Guard of Philadelphia, on October 21,1871, a communication was received by the Trustees from Mr. Edwin N. The monument was removed from the place of its dedication to the centre of Washington Square. Wilson and had been uncovered without ceremony in the presence of the few surviving members of the old Guard at 7 oclock on the morning of Saturday, the inscription reads, J. Wilson Bureau Bros. This statue was dedicated at this site on June 14,1991 By the Union League of Philadelphia, the First Regiment Infantry of Pennsylvania & Fairmount Park Commission through the efforts of a combined committee of those organizations. The Union League of Philadelphia Robert M. Flood Jr, president Stanley W. Root Jr. 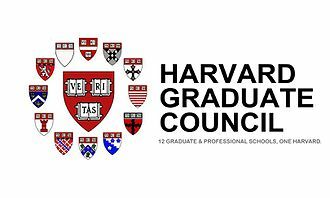 The Harvard Graduate School of Design is a professional graduate school at Harvard University, located at Gund Hall, Massachusetts. The GSD offers masters and doctoral programs in architecture, landscape architecture, urban planning, urban design, real estate, design engineering, the GSD has over 13,000 alumni and has graduated many famous architects, urban planners, and landscape architects. The school is considered an academic leader in the design fields. The GSD has the worlds oldest landscape architecture program, and North Americas oldest urban planning program, Architecture courses were first taught at Harvard University in 1874. The Graduate School of Design was officially established in 1936, combining the three fields of architecture, urban planning, and landscape architecture under one graduate school, the market value of the schools endowment for the fiscal year 2013 was approximately $396 million. 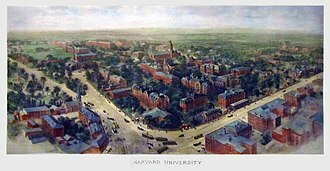 Charles Eliot Norton brought the first architecture classes to Harvard University in 1874, in 1900, the first urban planning courses were taught at Harvard University, and by 1909, urban planning was added into Harvards design curriculum. In 1923, North Americas first urban planning degree was established at Harvard, in 1980, the program was temporarily moved to the Harvard Kennedy School of Government until it returned to the GSD in 1984. 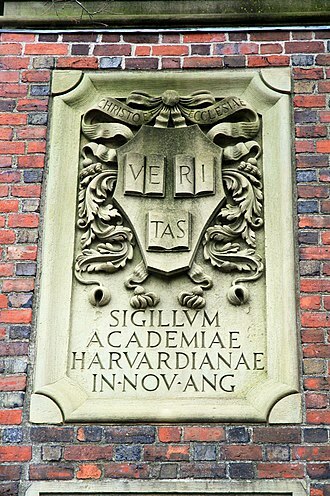 In 1893, the nations first professional course in architecture was offered at Harvard University. In 1900, the worlds first landscape architecture program was established by Frederick Law Olmsted, Jr. the School of Landscape Architecture was established in 1913. The three major design professions were officially united in 1936 to form the Harvard Graduate School of Design, in 1937, Walter Gropius joined the GSD faculty as chair of the Department of Architecture and brought modern designers, including Marcel Breuer to help revamp the curriculum. In 1960, Josep Lluís Sert established the nations first Urban Design program, george Gund Hall, which is the present iconic home GSD, opened in 1972 and was designed by Australian architect and GSD graduate John Andrews. More recent research include the Design Robotics Group, a unit that investigates new material systems and fabrication technologies in the context of architectural design. Silent Sam is a statue of a Confederate soldier by John Wilson on the campus of the University of North Carolina at Chapel Hill. It is located on McCorkle Place, the upper quad. The statue was funded by the University Alumni and the United Daughters of the Confederacy and it was erected in 1913 as a memorial to the 321 alumni who lost their lives in the American Civil War and all students who joined the Confederate States Army. 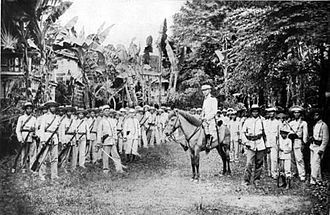 The University remained open through the entire war and this was due to President Swains policy of dependency on men unfit for combat. A bronze image on the front of the memorial depicts a young student dropping his books as he looks up to answer a call to duty. Under the student, a woman meant to signify North Carolina is depicted advising students to fight for an important cause even if it means leaving their studies, the statue was made to commemorate 50 years since the beginning of the war. The United Daughters of the Confederacy spent four years fundraising and hired Canadian sculptor John Wilson to create the statue, the statue cost the Daughters of the Confederacy $7,500. Like the Daniel A. Bean sculpture, Wilson used a northerner--Harold Langlois, Wilson created a series of similar statues called the Silent Sentinels. 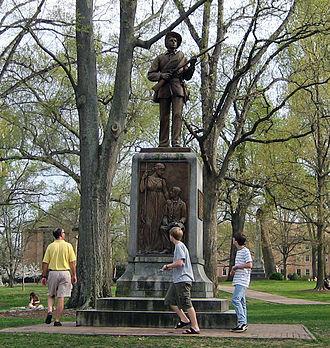 All were created in the North and displayed in the South, like these other statues, Silent Sam is positioned to face north towards the Union, rather than towards the Confederacy. Like its neighbor, the Unsung Founders Memorial, the Silent Sam statue has frequently been a source of controversy and it is seen by some as symbol of historical remembrance, while others view it as a sign of racial oppression. The monument has been a subject of controversy and a site of protest since the 1960s, in March 1965, a discussion about the monuments meaning and history occurred in the letters to the editor of the UNC student newspaper, the Daily Tar Heel. In May 1967, poet John Beecher debated Silent Sam, reading to the statue from his book of poetry To Live, following the assassination of Martin Luther King, Jr. in April 1968, the monument was vandalized. 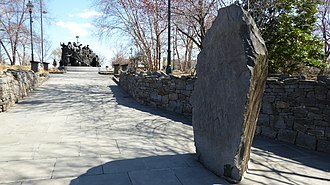 In the early 1970s, the monument was the site of demonstrations by the Black Student Movement. The pedestal remained in McCorkle Place without the Silent Sam statue until January 14, 2019. The Brooding Woman, Paul Gauguin, Worcester Art Museum. 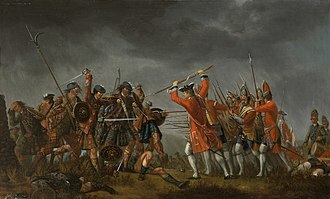 One of the four works stolen in 1972 but recovered soon after. Ennobled currency: the central vignette of the US$2 bill, Series 1896: Blashfield's Science presents Steam and Electricity to Commerce and Manufacture. Newspaper advertisement for the Boston Museum, by Moses Kimball, from the Barre Patriot, Barre, Vermont, 15 September 1850. The painter Elizabeth Okie Paxton (1877–1971), who studied at the Cowles Art School.